The British Government is making important changes to the passport service for British nationals living overseas. 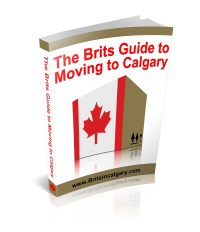 From 12 August 2013, the application process will be centralised and British nationals in Canada should submit their passport application to Her Majesty’s Passport Office in the UK. This important change follows reviews by the National Audit Office and is designed to achieve economies of scale, greater security and consistency in decision making. All British passports have enhanced sophisticated security features designed to reduce the likelihood of identity theft and passport fraud. Before 12 August, British nationals living in Canada submitted passport applications to a regional processing hub in Washington, United States. From 12 August, information on the UK Government website will advise British nationals on the new passport application process. All the information required to make an application will be found at https://www.gov.uk/overseas-passports. Applicants will be required to send their applications to the Passport Customer Service Centre in Durham. There will be no change to processing times. Fees charged to British nationals applying overseas are based on the current costs of providing the service. As overseas volumes are much less than UK volumes it is harder to gain efficiencies overseas. That is why we have taken the decision to repatriate the issuing of passports to British nationals overseas to the UK. Once this has been completed Her Majesty’s Passport Office will be seeking to create closer alignment between the two sets of fees.